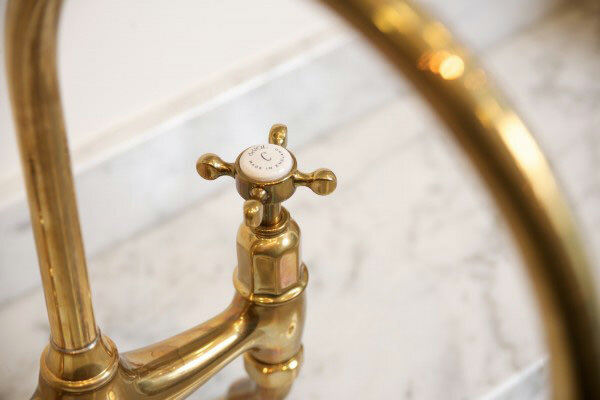 Here at deVOL we have always recommended Perrin and Rowe taps to our customers, simple classic design, British made and of the very best quality. We like to make it easy for customers, if they don’t have to make too many decisions then everything is just less stressful and fun. 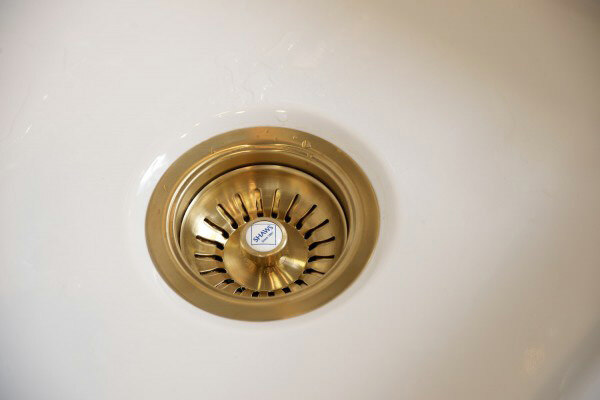 You don’t need to search for the perfect tap because we’ve done the searching for you, so nine times out ten customers have a set of Perrin and Rowe Taps. Over the past year or so we have been looking for old vintage brass taps on ebay and at antique fairs, just to add a nice feel to our displays here at Cotes Mill and because they look so beautifully aged and full of character. We thought how lovely it would be it to sell some old ones alongside the Perrin and Rowe ones just because they are what everyone wants and we know it and we love the look. Easier said than done though, there are dozens and dozens of people selling knackered old taps cheaply or renovated ones very expensively!!! The cheap ones are either the wrong size, too rusted up to easily bring back to life, or the actual tap is too short to comfortably fit into the sink. 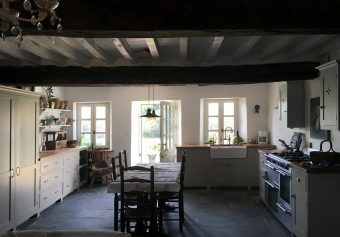 Basically it’s a big hassle, it’s a lovely idea and seems to be a way of getting a unique and unusual finishing touch to your kitchen. Yet in reality its another job, a big job!! and unless you are particularly good at this type of thing and have plenty of spare weekends then it’s not going to happen. I bought a lovely pair for £50.00 off eBay about 6 months ago, pretty good condition, nice colour, but they both said cold!!! not really too much of a problem but not perfect. I emailed the seller and they said ‘outdoor taps’ always say cold!! oh well another eBay sale gone wrong, they are still sitting in the bubble wrap in a cupboard. So it seemed clear we needed a conversation with Perrin and Rowe, we knew the taps we wanted and the colour we wanted. They do lots of beautiful finishes but not an aged brass of a very specific tone. 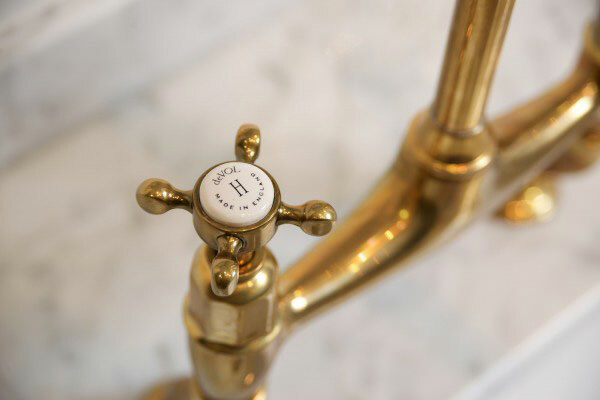 So after many months of meetings and logo designs and samples, we are very proud to be able to offer our customers a deVOL Aged Brass Tap by Perrin and Rowe. 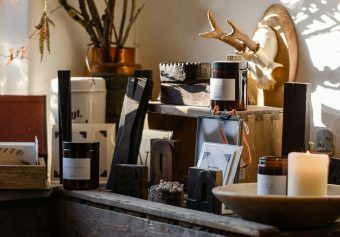 I love the fact that we are able to collaborate with such lovely companies and they want to help us to get exactly what we want, we want to please our customers and give them something that’s just so hard to find. We’ve also managed to get Shaws strainers to match. 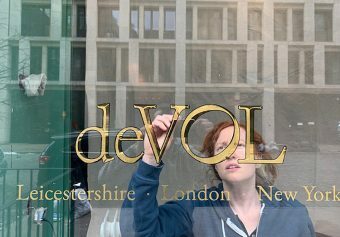 We don’t usually offer our accessories to customers who are not having a deVOL Kitchen, but we have decided that these are too good to keep a secret, so they are available to everyone. Give us a call if you want to know more. 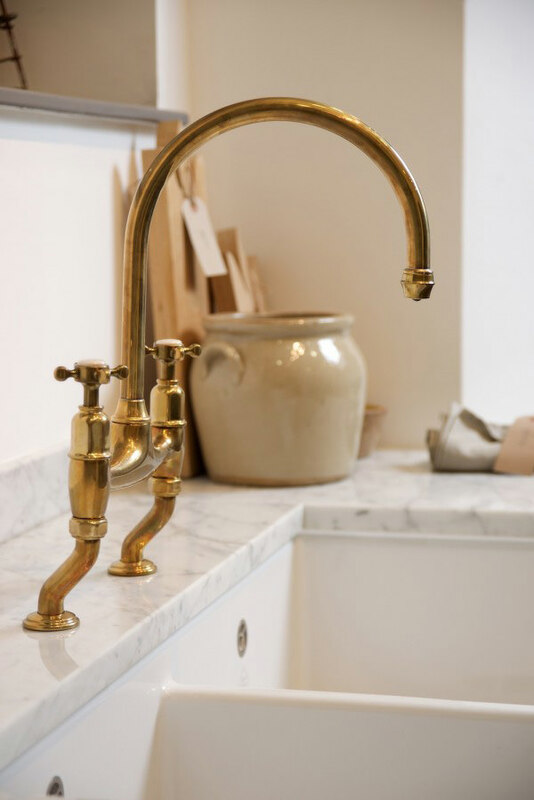 Take a look at the full collection of deVOL Aged Brass Taps by Perrin and Rowe.